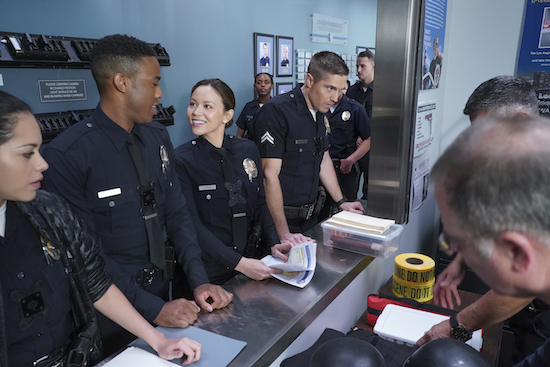 THE ROOKIE ends its first season on Tuesday, April 16. And given some of the in-season moves they’ve made, odds are good the finale will be a big one. With the end of THE ROOKIE’s first season around the corner, the rookies are nearly ready to take their final exam. But first, they have to complete a scavenger hunt (of sorts) to actually qualify to take that last test. 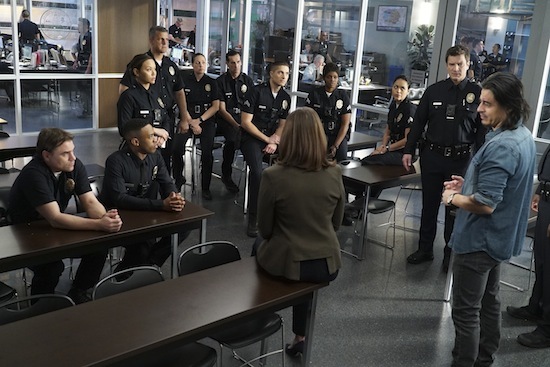 THE ROOKIE squad has a tough go of it on the Tuesday, April 2 episode of the drama: Nolan (Nathan Fillion) is sued for excessive force, while another college becomes the focus of Internal Affairs. 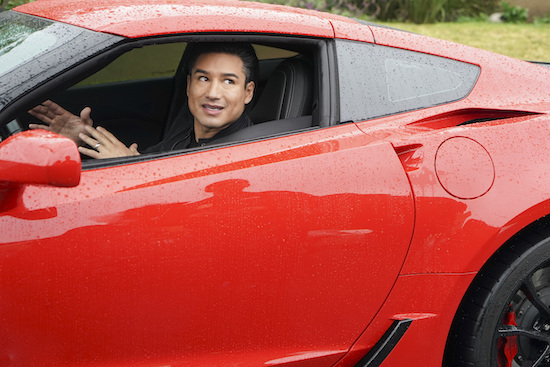 Mario Lopez guest stars as himself on the Tuesday, March 19 episode of THE ROOKIE…as he gets pulled over by Lucy (Melissa O’Neil) and Tim (Eric Winter). 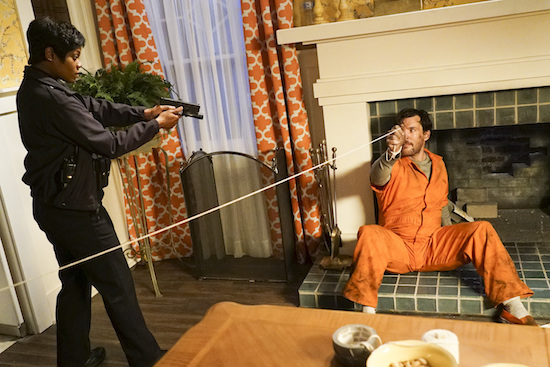 On the Tuesday, March 26 episode of THE ROOKIE, Joel McHale and BATTLESTAR GALACTICA’s Michael Trucco guest star. 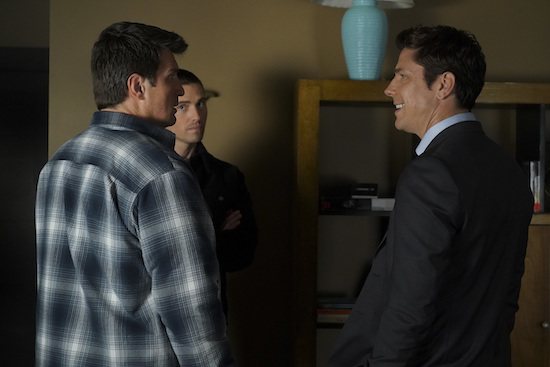 On the Tuesday, March 5 episode of THE ROOKIE, Nolan (Nathan Fillion) meets his match in Jessica Russo (Sarah Shahi). 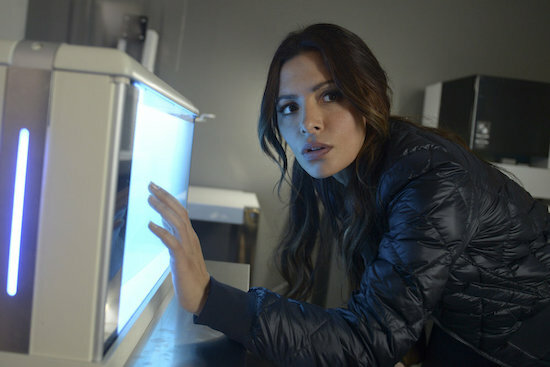 Tags: alexi hawley, Alexi Hawley interview, Jessica Russo Sarah Shahi, sarah shahi, Sarah Shahi interview, Sarah Shahi on The Rookie, The Rookie, THE ROOKIE season 1, The Rookie season 1 spoilers, The rookie spoilers, Who plays Jessica Russo on The Rookie? 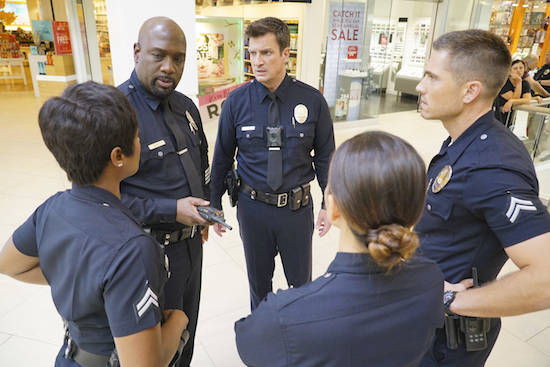 The February 26 episode of THE ROOKIE finds the new cops taking control, as their partners join them out of uniform. 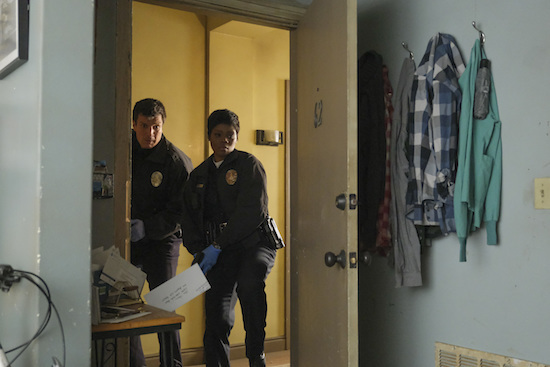 When money goes missing on the Tuesday, February 19 episode of THE ROOKIE, the freshman cops fall under suspicion. It’s Valentine’s Day on the Tuesday, February 12 episode of THE ROOKIE…but things aren’t exactly hearts and flowers. ABC drama THE ROOKIE has booked a trio of guest stars for the second part of its freshman season. 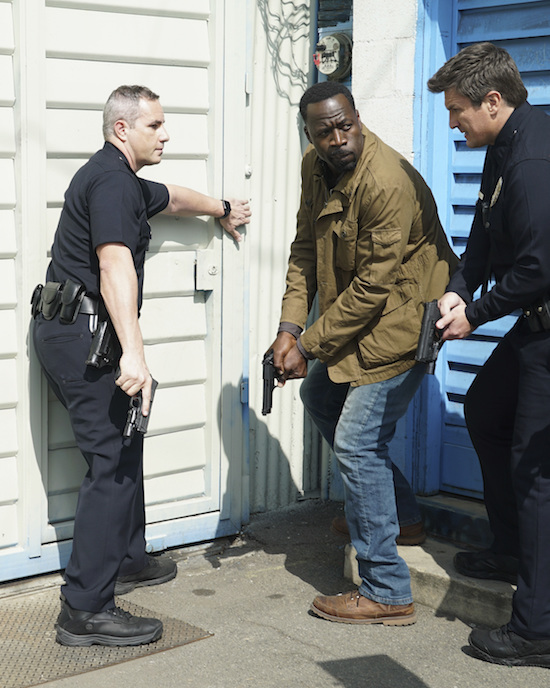 THE ROOKIE crew scrambles when the VP makes an unexpected trip to Los Angeles on the Tuesday, January 22 episode. 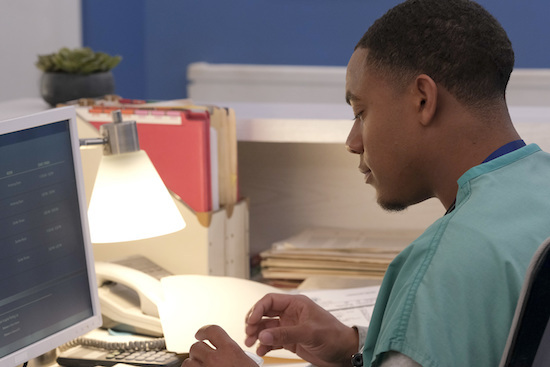 Tags: The Rookie episode airing January 22, The Rookie episode airing Tuesday January 22, The rookie photos, THE ROOKIE season 1, The Rookie season 1 spoilers, The rookie spoilers, THE ROOKIE: 'Redwood', THE ROOKIE: 'Redwood' Photos, Who guest stars on The Rookie? ABC has officially ordered a full first season of THE ROOKIE, the network announced. The additional 7 episodes will bring its freshman year to a total of 20 hours. 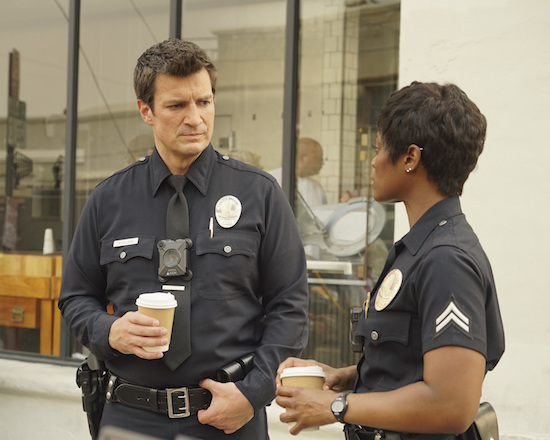 The drama, from Alexi Hawley, stars Nathan Fillion as John Nolan, the titular rookie. Alyssa Diaz (Angela Lopez), Richard T. Jones (Sergeant Wade Grey), Titus Makin (Jackson West), Mercedes Mason (Captain Zoe Andersen), Melissa O’Neil (Lucy Chen), Afton Williamson (Talia Bishop), and Eric Winter (Tim Bradford) also star in the series.